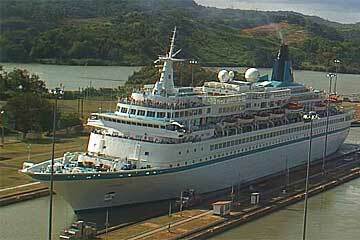 The MS Albatros is a cruise ship, operated by the Germany-based travel agency Phoenix Reisen. 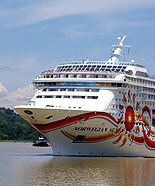 She was built in 1973 by Wärtsilä Helsinki New Shipyard, Finland for Royal Viking Line as Royal Viking Sea, and has also sailed under the names Royal Odyssey, Norwegian Star, Crown and Crown Mare Nostrum. 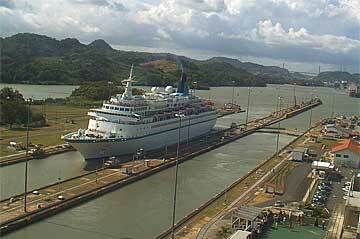 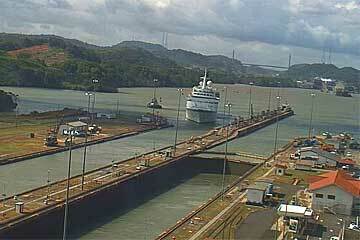 The MS Albatros is shown here in the attached images on her South Bound Panama Canal transit on January 14th 2010.